1. 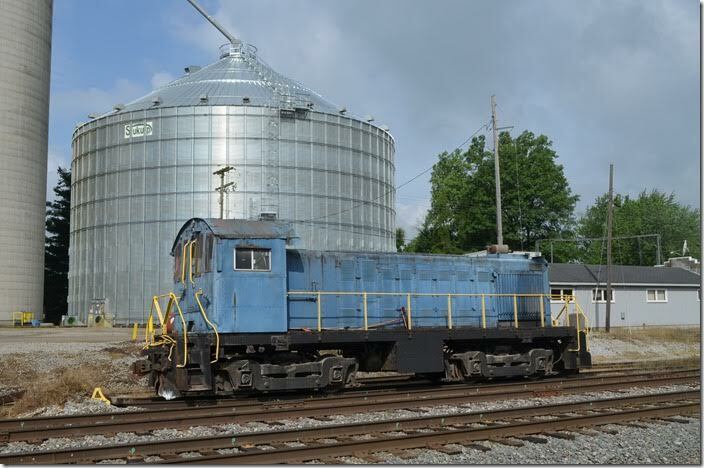 Interstate Commodities Inc ALCo S-4 at Harpster OH. 06-18-2015. 2. 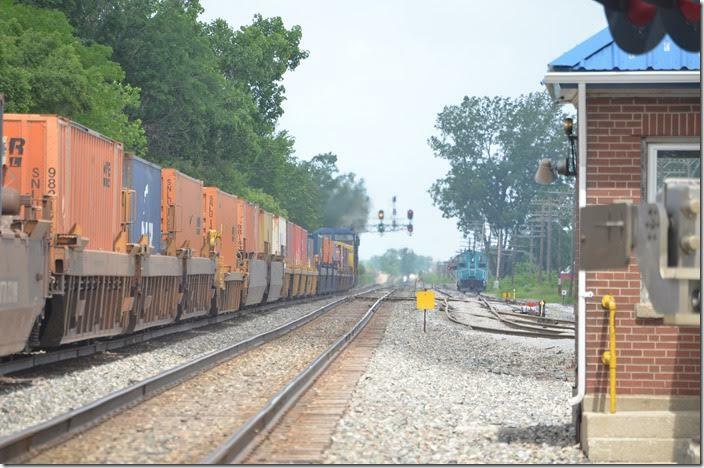 CSX lists this as a unit train operation. Looking east toward Columbus. Interstate Commodities Inc. Harpster OH. View 2. 3. Interstate Commodities Inc. Harpster OH. View 3. 4. Well not all of our favorite signals got replaced! Westbound signal “Onion” (onion farm nearby) at north side of Carey. 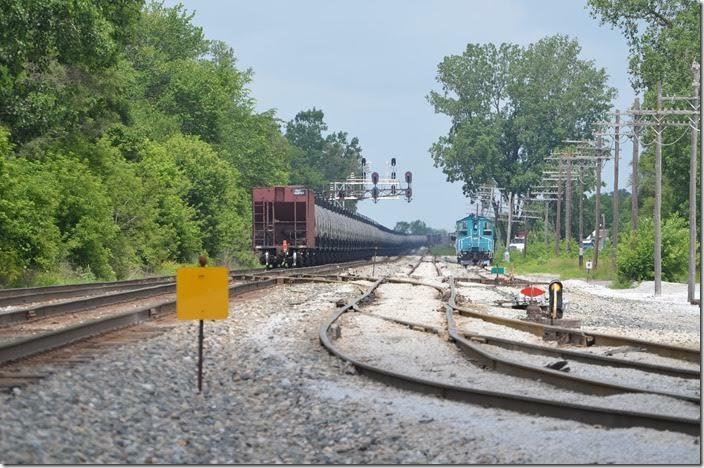 That’s a long signaled siding on the right that leads to National Lime & Stone and the Wheeling & Lake Erie. 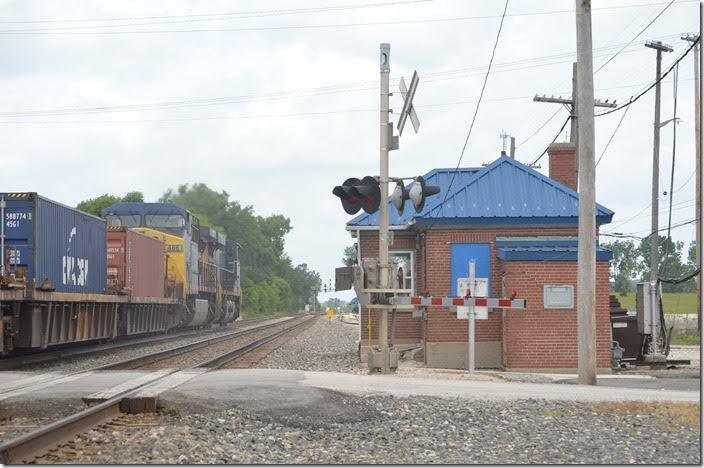 CSX signal Carey OH. 5. 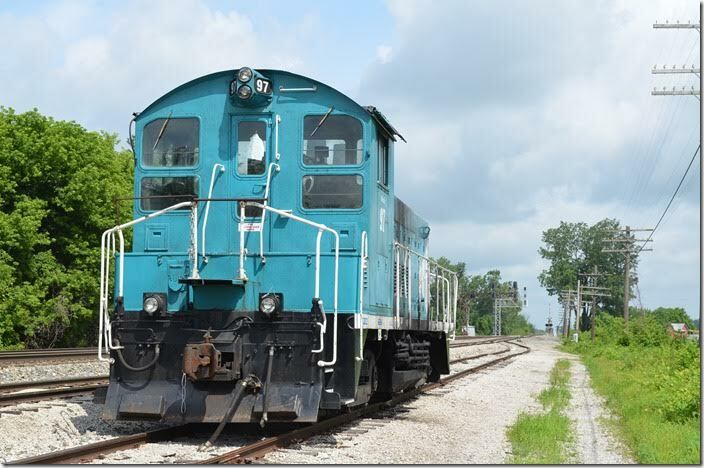 Rail Trusts Equipment Inc. SW-1200 97 is ex-Lancaster & Chester nee-PRR. 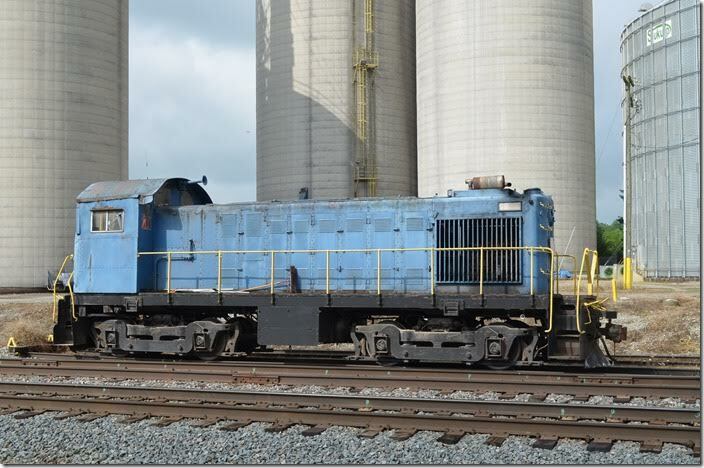 Parked on the siding at the west end of Carey, I presume National Lime must have it leased, but I can’t say for sure. 6. 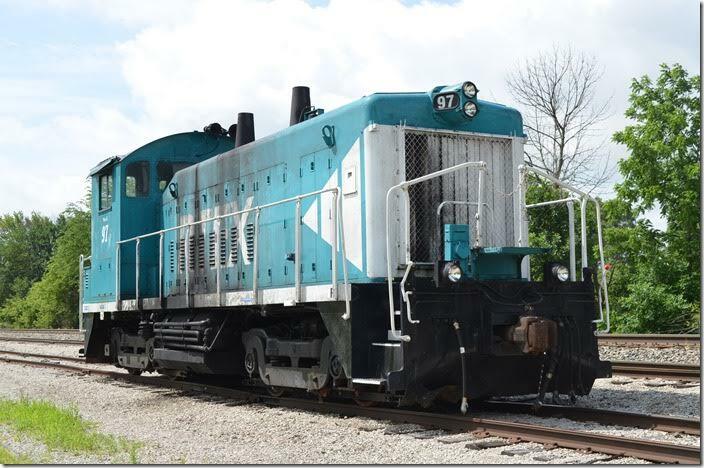 Rail Trusts Equipment Inc 97. View 2. 7. 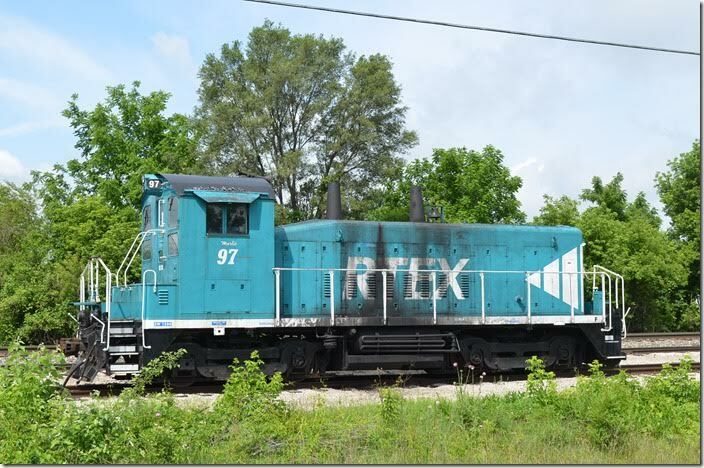 Rail Trusts Equipment Inc 97. View 3. 8. 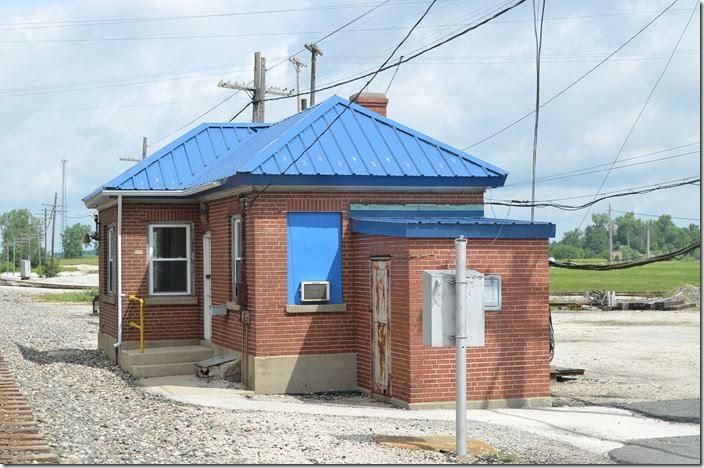 Former C&O C Cabin guarded the crossing of the Akron, Canton & Youngstown and the NYC at Carey. AC&Y is now Wheeling & Lake Erie, but it no longer goes west to Delphos. NYC gone. 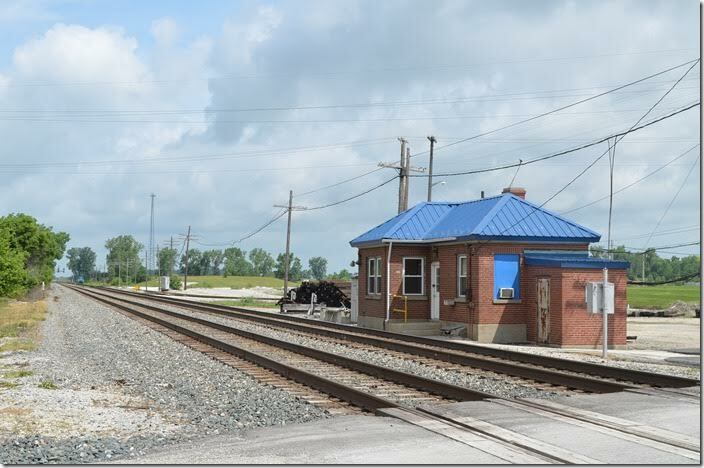 The nice brick building is still in use by CSX. Carey OH. 9. CSX C Cabin. Carey OH. View 2. 10. 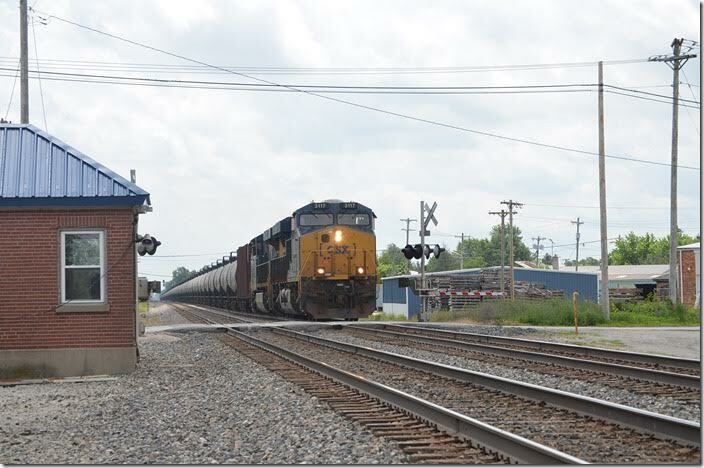 Westbound single stack Q135 behind CSX 773-486 rips through Carey with 148 wells. 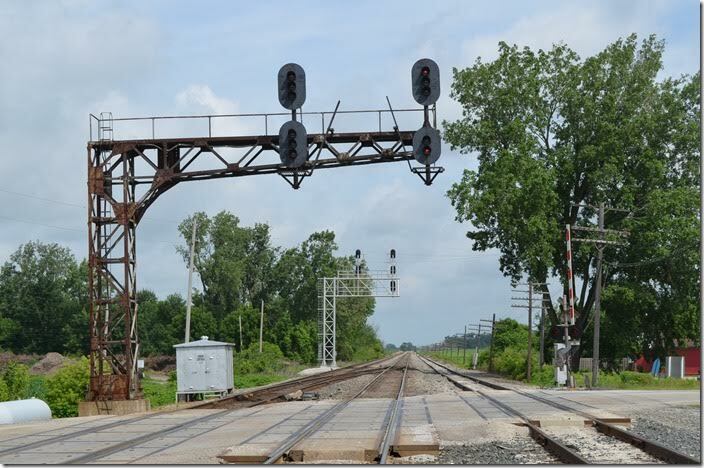 It will hang a left at Fostoria and terminate at North Baltimore. Carey OH. 11. CSX 773-486. Carey OH. View 2. 12. Medium Clear at “Onion” to go from Track 2 to single track at “Spring”, two miles ahead. CSX 773-486. Carey OH. View 3. 13. 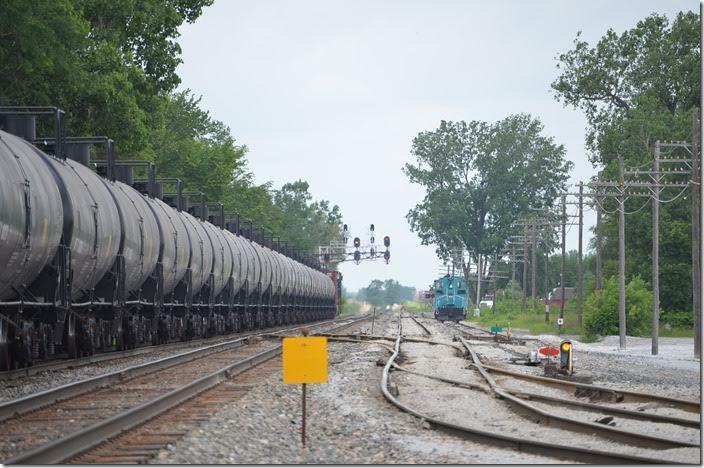 Westbound empty oil train K081 behind CSX 3117-790 hustles through Carey with 108 tanks and two buffers. Many of these cars were MVTX (Plains Marketing LP) which were rebuilt 04-2015 and classed as AAR ST-445. 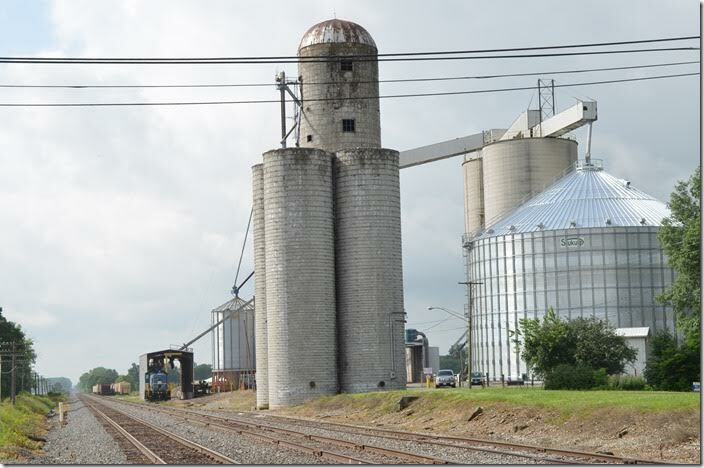 This train will also hang a right at Fostoria for Chicago. Carey OH. 14. On the right are the sidings for National Lime & Stone and the W&LE interchange. K081 has an approach signal because he is following Q135. CSX 3117-790. Carey OH. View 2. 15. 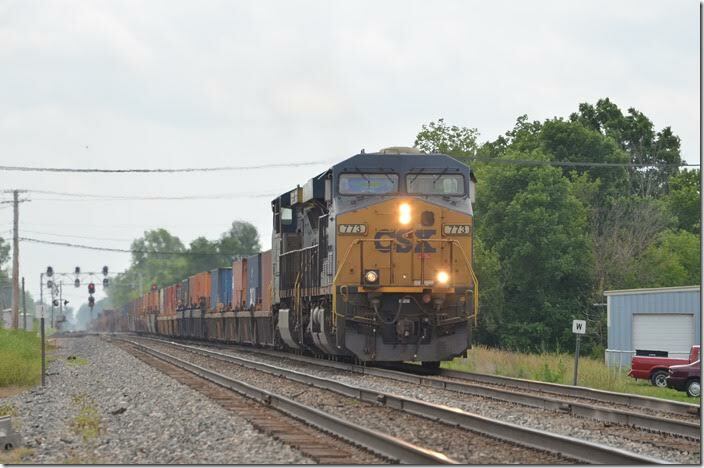 CSX 3117-790. Carey OH. View 3. More on Fostoria and the Wheeling later.